This range provides a stylish induction suitable range of cookware with no compromise on the quality of the non-stick interior. 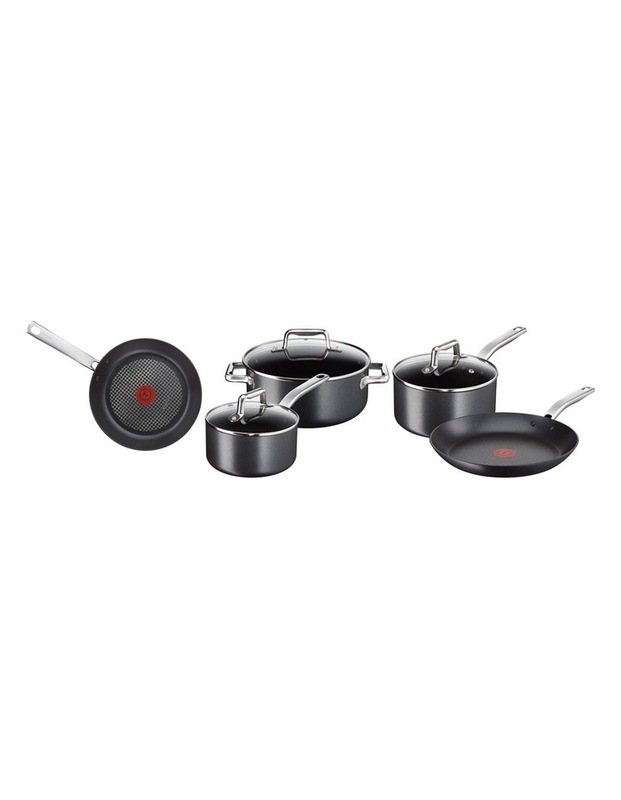 The set features patented Thermo-Spot technology for perfect cooking results, a stylish design incorporating riveted stainless steel handles and a lack coloured non-stick exterior for easy cleaning. Dishwasher safe, and a generous assortment of items in either set mean the range is perfect for those starting out, those looking to upgrade or those simply needing an additional set for the holiday home or as a gift for friends and family.